RemovalsMates provides relocation and removals services in Brockley, SE4. Our movers will help you with everything – packing, loading and transporting of your belongings. Some say that London is the business center of the world these days – that is why you have to stay in front of you competitors and we are doing it with providing to our Brockley, SE4 the best house removals services. With our top notch removal services we are ready to move your office or business to any point of the city faster than you can image. If you want to try our services do not hesitate to fill in our internet form and we will set an appointment for you as soon as we can regarding the high number of orders we get every day. London is famous for its nice and cozy suburbs and everybody wants to live there. Even people that have been living in the centre of the city for all their lives at some point what to move. And when they decide that they want to move our house removals specialists come in handy because help is always needed when it comes to removing a lot of luggage. You can order our service using the internet form or by coming to our central office in Brockley, SE4. London is a one of the most dynamic cities in the world – everyone is constantly moving from one place to another, in this environment we have become the best in our business which is house removals. 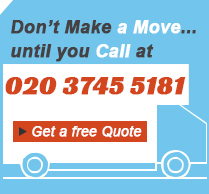 We can move you fast and cheap to any place in the city, even to Brockley, SE4. Ordering our service is easy and available to everyone, through the internet or on the phone. You will not regret using our company’s services, because we guarantee you quality and dedication which you will not find anywhere else. We are kindly offering you the professional removals services of our respected and dedicated company. We transport a wide range of items, including larger furniture and we are supplied with modern vans and trolleys to perform everything in a professional way. Our employees are committed to their job and they will take special care for the more fragile items. Our removals services are available during the week as well as at the weekends in Brockley, SE4. In case you want to be additionally informed, do not hesitate to use our customer support centres that work from Monday to Sunday to respond to your questions.